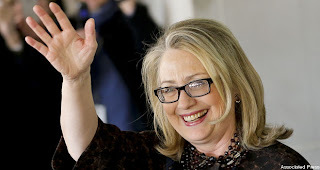 Clinton continues to lead potential 2016 presidential candidates - Hillary Clinton holds a commanding lead among voters over Sen. Rand Paul (R-KY) and Florida Gov. Jeb Bush (R) in hypothetical matchups of the 2016 presidential race, according to a new Quinnipiac University poll released Friday. Clinton leads Paul 49-41 percent and is out ahead of Bush 48-40 percent. Her favorability rating, though, has fallen from an all-time high of 61 percent in February to 52 percent in this survey. The survey also found Vice President Joe Biden trailing Paul 43-39 percent and falling behind Bush 44-38 percent. The poll surveyed 1,419 registered voters between May 22-28 and has a margin of error of plus or minus 2.6 percentage points. TPM.com has more here. 68% Oppose U.S. military intervention in Syria - According to a Gallup survey out Friday, 68 percent of Americans say that the U.S. should not resort to military action if diplomatic and economic efforts don’t stop the civil war that is raging in Syria. Twenty-four percent of Americans would back military action. But Americans aren’t hopeful that other efforts to stop the conflict will succeed: 58 percent don’t think that economic and diplomatic measures alone will stop the war; 27 percent do. Politico.com has more here. 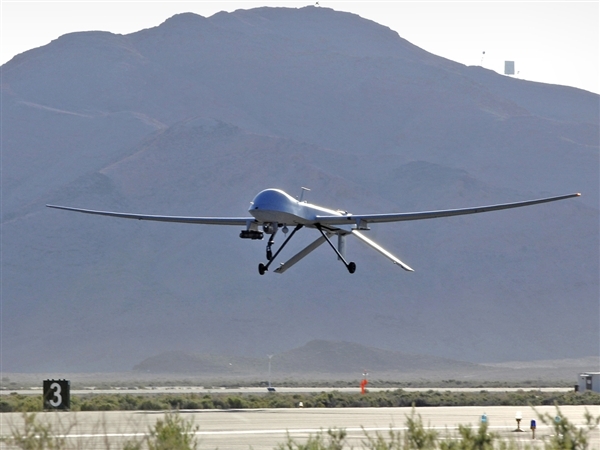 Lawmakers begin debate on use of Drones - House defense lawmakers are debating whether to change the rules of war for U.S. counter-terrorism operations as part of the Defense Authorization bill for 2014. According to draft language obtained by The Hill, the changes would require President Obama and the Pentagon to review all groups or individuals now characterized as “associated forces” under the current rules. TheHill.com has more here. Unemployment in Euro Zone reaches new high - in the 17-nation currency area rose to 12.2 percent in April, statistics agency Eurostat said on Friday, marking a new record since the data series began in 1995. With the euro zone also in its longest recession since its creation in 1999, consumer price inflation was far below the ECB's target of just below 2 percent, coming in at 1.4 percent in May, slightly above April's 1.2 percent rate. That rise may quieten concerns about deflation, but the deepening unemployment crisis is a threat to the social fabric of the euro zone, with almost two-thirds of young Greeks unable to find work exemplifying southern Europe's threat of creating a 'lost generation'. Reuters.com has more here. Donations are appreciated - Click here to donate. Thank You! President Obama’s approval ratings have increased since a trio of controversies involving his administration began dominating the news cycle - Fifty percent of those surveyed in Gallup’s three-day tracking poll released Wednesday say they approve of the job the president is doing, compared to 43 percent who said they disapprove. The 7 percentage-point positive margin is better than where the president stood in the poll over the two weeks before the IRS and Department of Justice scandals broke, and is near Obama’s rating over the waning days of the 2012 campaign when voters convincingly elected him to a second term in office. TheHill.com has more here. 73% Believe Congress should focus on economy and unemployment, not investigations - An overwhelming majority of Americans said that the economy and unemployment should take precedence over the Congressional investigations into the Internal Revenue Service's targeting of conservative groups, the Justice Department's subpoena of Associated Press phone records and last year's deadly attack in Benghazi, Libya, according to a new poll from Quinnipiac University released Thursday. The poll found that 73 percent of American voters nationwide believe that dealing with the economy and unemployment should be a higher priority than the investigations. Fewer than a quarter of Americans — 22 percent — believe that the investigations should be the higher priority. TPM.com has more here. McAuliffe Leads Cuccinelli in Virginia Governors Race - Although both candidates are unpopular among Virginia voters, former Democratic National Committee Chairman Terry McAuliffe holds a 5-point edge over Republican state Attorney General Ken Cuccinelli in the Commonwealth's 2013 gubernatorial race, according to the latest survey from Democratic-leaning Public Policy Polling released Wednesday. The poll showed McAuliffe picking up the support of 42 percent of Virginia voters, while Cuccinelli trailed with 37 percent support. Those findings are virtually identical to a poll earlier this month from Quinnipiac University, which also showed McAuliffe leading by five. Both PPP and Quinnipiac surveyed a sample of registered voters. Polls conducted in late-April and early-May by the Washington Post and NBC News/Marist used samples of likely voters, showing Cuccinelli leading by 10 points and three points respectively. PPP's latest release painted a picture of a race that may ultimately be won by the candidate who voters dislike less. 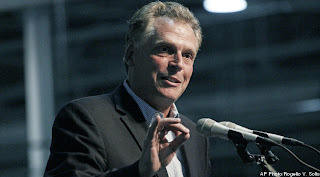 Thirty-three percent said they have an unfavorable opinion of McAuliffe, the longtime Clinton loyalist, while 29 percent have a favorable opinion of him. But Democrats may take solace in the knowledge that Cuccinelli, a vocal social conservative, is even more unpopular: 44 percent have an unfavorable view of him compared with 32 percent who said they have a favorable view. You can read more here. Obama to Nominate Comey as F.B.I. 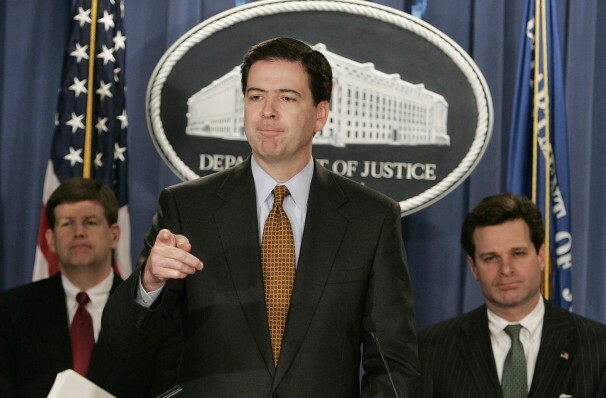 Director - President Obama plans to nominate James B. Comey, a former senior Justice Department official in the George W. Bush administration, to replace Robert S. Mueller III as FBI director, according to two people with knowledge of the selection process. Comey, 52, was at the center of some of the most bruising debates over counterterrorism during the Bush administration and established a reputation as a fierce defender of the law and the integrity of the Justice Department regardless of the political pressures of the moment. The expected nomination of Comey, a Republican, was seen in some quarters as a bipartisan move by a president besieged by Republicans in Congress. But Chuck Hagel’s prior service as a Republican senator from Nebraska did not spare him from a bruising nomination battle for secretary of defense. The Washington Post has more here. "Nuclear Action" in Senate Resurfaces as Republicans Stall Nominees - Members of a liberal coalition pushing for filibuster reform believe Reid could garner the 51 votes needed to change the Senate rules on a party-line vote. “Reid has 51 votes,” said a liberal advocate for filibuster reform who has met with Democratic senate offices to push for reform. Dalal Aboulhosn, an advocate at the Sierra Club, said it will be easier to round up votes for changing the filibuster rule for stalled nominees than for reworking the filibuster rule for controversial legislation. “I think if we narrow it down, we would be able to see more progress than we have on the larger reform even though the larger reform is just as important,” she said. “Going back to the mounting frustration that senators are voicing very publicly, I think they are willing to come to the table and at least discuss the options.” You can read more here. 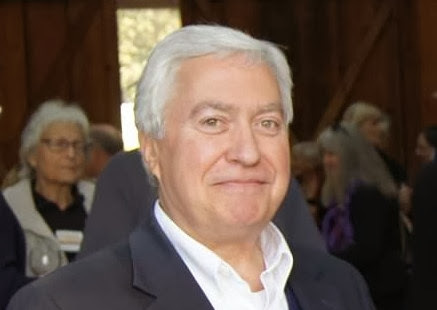 Chaffe Switches Affiliation To Democrat - Rhode Island Gov. Lincoln Chafee will formally switch his party registration Thursday, abandoning his status as an independent and joining the Democratic Party, the governor’s office told POLITICO. 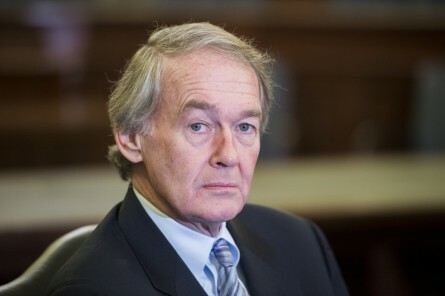 Chafee quietly informed President Barack Obama of his intention to affiliate as a Democrat after reaching that decision in private, Chafee spokeswoman Christine Hunsinger said. 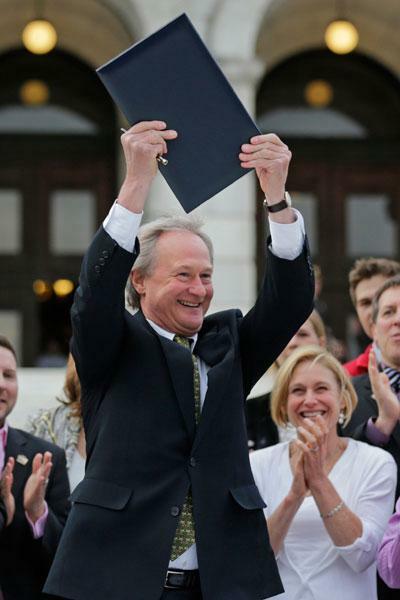 The governor’s office confirmed Chafee’s plans after POLITICO reported that the governor had notified national Democrats that he’d be joining the party. Politico.com has more here. Threatening Letters to Bloomberg Test Positive for Ricin - Preliminary tests indicate ricin was found in letters sent this past weekend to New York Mayor Michael Bloomberg, New York deputy police commissioner Paul Browne said Wednesday. "The letter obviously, referred to our anti-gun efforts but there's 12,000 people (who) are going to get killed this year with guns and 19,000 that are going to commit suicide with guns, and we're not going to walk away from those efforts," Bloomberg said. CNN.com has more here. Bachmann won't seek re-election - Rep. Michele Bachmann (R-MN), a leading figure within the tea party movement and a 2012 Republican presidential candidate, announced in a video message released Wednesday on her website that she will not seek re-election next year. Bachmann, who was set for another re-match against Democratic hotel magnate Jim Graves in 2014, insisted that the decision had nothing to do with her electoral prospects. She narrowly defeated Graves last year and, facing a number of campaign finance investigations into her presidential bid, was considered potentially vulnerable. Bachmann also denied that the campaign finance probes played any role in her decision. TPM.com has more here. Republicans view the president’s decision to nominate three more judges to the D.C. Circuit Court of Appeals, the second most powerful court in the nation, as deliberately provocative after they unanimously approved one of his nominees to the court last week. GOP senators made it clear in the lead-up to last week’s 97-0 vote on Sri Srinivasan that they will balk at confirming additional judges to the court because of what they characterized its light caseload. The new nominees, who have yet to be named, could decide the fate of Obama’s two biggest legislative accomplishments — the 2010 Affordable Care Act and the Dodd-Frank Wall Street Reform Act — which fall under the D.C. Circuit’s jurisdiction. The court is also expected to handle Obama’s anticipated attempt to combat climate change through regulations, which will attract a slew of legal challenges. TheHill.com has more here. Obama endorses Markey in close Massachusetts senate race - President Barack Obama on Tuesday endorsed Rep. Ed Markey, D-Mass., with just four weeks left in the increasingly competitive special election for Senate. The decision to back a member of his own party is no surprise. Obama remains a popular figure in the Bay State after winning it last year with 61 percent of the vote. Markey hopes to build a similar coalition of voters in his race against Republican Gabriel Gomez. “Ed Markey is a passionate and effective champion for middle class and working families, and we need him in the Senate to keep moving our country forward,” Obama said in a statement. Obama praised Markey’s record of helping businesses create jobs, his work on fuel economy standards and the longtime congressman’s position on gun control. In the race to fill the remaining 18 months of former Sen. John Kerry’s term, Obama said, “Markey will continue that great tradition” of Massachusetts senators. The special election will take place June 25. RollCall.com has more here. Obama in Chicago for DCCC fundraisers - President Barack Obama on Wednesday will travel to Chicago where he will headline a pair of fundraisers for the Democratic Congressional Campaign Committee (DCCC), the White House announced. He is expected to arrive in the Windy City at 5:00 p.m. CST. Obama has participated in Democratic fundraisers in San Francisco and New York City already this year. 59% Support funds for disasters without spending cuts to other areas - Nearly six in 10 Americans believe that the federal government should provide funds to states affected by natural disasters without having to cut spending in other areas to do so, according to a new Washington Post-Pew Research Center poll. Fifty-nine percent of all respondents say federal emergency aid need not be offset by cuts in other parts of the budget — a number that includes a majority (52 percent) of self-identified Republicans as well as nearly seven in 10 Democrats. The Washington Post has more here. Issa issues subpoena for Benghazi documents - House Republicans accused the Obama administration of withholding information about its initial response to last year's terror attack in Benghazi, Libya, and issued a subpoena on Tuesday seeking additional information. Rep. Darrell Issa, R-Calif., wrote Secretary of State John Kerry on Tuesday to notify him of the subpoena, which seeks "all documents and communications" among a handful of State Department officials regarding the crafting of the department's public explanation for the Sept. 11, 2012 attack in Benghazi. The subpoena is another step in Republicans' long journey to unearth more details about the Benghazi response, which they have used to politically ding President Barack Obama and former Secretary of State Hillary Clinton. Obama has dismissed much of the Benghazi uproar as a politically-motivated fishing expedition, though his administration did disclose 100 pages worth of copies of emails earlier this month documenting how talking points regarding Benghazi were developed in the immediate aftermath of the attack. NBC News has the letter here. 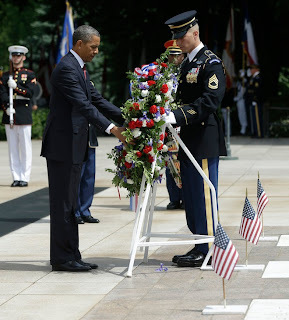 Obama Lays Wreath at Tomb of Unknown Soldier - President Barack Obama traveled to Arlington National Cemetery on Memorial Day to lay a wreath at the Tomb of the Unknown Soldier, urging Americans not to forget the sacrifice of the armed forces. Obama to Meet with Christie Today - As was announced last week, President Barack Obama on Tuesday will travel to New Jersey where he will meet with Gov. Chris Christie (R), as well as families and business owners who were affected by Hurricane Sandy last fall. Obama is expected to touch down in New Jersey at 11:05 a.m. ET, the White House said. He will deliver remarks at 1:30 p.m. ET in Asbury Park, N.J. TPM.com has more here. McCain Visits with Rebels in Syria - Sen. John McCain Monday became the highest-ranking U.S. official to enter Syria since the bloody civil war there began more than two years ago, The Daily Beast has learned. McCain, one of the fiercest critics of the Obama administration’s Syria policy, made the unannounced visit across the Turkey-Syria border with Gen. Salem Idris, the leader of the Supreme Military Council of the Free Syrian Army. He stayed in the country for several hours before returning to Turkey. Both in Syria and Turkey, McCain and Idris met with assembled leaders of Free Syrian Army units that traveled from around the country to see the U.S. senator. Inside those meetings, rebel leaders called on the United States to step up its support to the Syrian armed opposition and provide them with heavy weapons, a no-fly zone, and airstrikes on the Syrian regime and the forces of Hezbollah, which is increasingly active in Syria. The Daily Beast has more here. European Union to Allow Arms Embargo for Syrian Rebels to Lapse - The Obama administration’s go-slow policy on Syria came under renewed pressure Monday as European leaders opted to remove a legal hurdle that had blocked arms flows to rebel groups, while a top Republican critic swooped into Syria to dramatize what he says is the opposition’s urgent need for direct military aid. The new support for Syria’s embattled opposition came amid high-level diplomatic efforts to find a political solution to the Syrian crisis, as Secretary of State John F. Kerry huddled in the French capital with Russian Foreign Minister Sergei Lavrov to explore prospects for a peace conference that would bring together rebels and Syrian government officials. The Washington Post has more here. Hillary Clinton, Andrew Cuomo Share a Parade - Hillary Clinton and Andrew Cuomo, the prohibitive 2016 Democratic front-runner and the New York governor believed to be interested in the White House, were in lockstep Monday for Memorial Day. The pair marched together in a Westchester parade marking the day. Aides to Cuomo declined to answer how they ended up together at the parade, although it’s one of the local events for Memorial Day in the New York county where both live. A Clinton aide said it was happenstance, and that she has traditionally marched in the parade. Politico.com has more here. The Sale of Drones Becoming The New Arms Race - On a sprawling complex just outside Pretoria, South Africa, a government-owned arms manufacturer is preparing to test an armed drone that it hopes to begin selling soon to governments around the world. “These are not combat systems, they are foremost reconnaissance systems,” Sello Ntsihlele, executive manager of UAV systems for Denel, told NBC News. He added: “(But if) you speak to any general, show him the capability, he will tell you, ‘I want to have munitions." Critics say the coming proliferation of the lethal remote-controlled flying machines will forever change the face of counterterrorism operations and, eventually, warfare itself – and not for the better. MSNBC.com has more here. 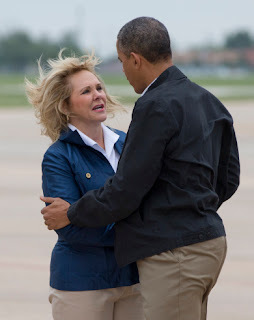 Obama tours Oklahoma tornado damage, vows "nation has your back" - President Obama visited tornado-hit Oklahoma on Sunday, telling residents that “we’ve got your back,” and vowing to help rebuild battered towns. “I promise you, we keep our word,” said the president. 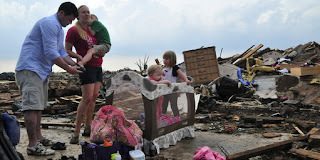 Obama toured the Oklahoma City area six days after a tornado killed 24 people, including 10 children, and wreaked massive destruction. You can read more here. 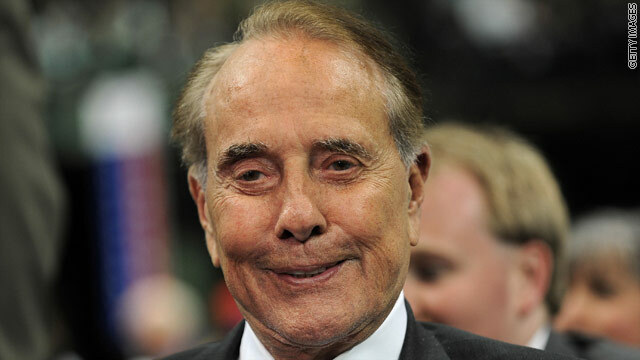 Dole says GOP should be "closed for repairs" - National Republicans have shifted so drastically in the past decade that the party’s most vaunted figure - former President Ronald Reagan - would no longer find a home in the GOP, former Sen. Bob Dole claimed Sunday. Instead of operating day-to-day in a nonelection year, the national party should focus on broader plans to rehabilitate itself after the losses of 2012, the former Kansas lawmaker said. “I think they ought to put a sign on the national committee doors that says ‘Closed for repairs’ until New Year’s Day next year. Spend that time going over ideas and positive agendas,” Dole, who was the Republican nominee for president in 1996, said on “Fox News Sunday.” CNN.com has more here. Kerry announces $4 billion private development proposal for West Bank - Hoping to use economic promise as a bridge to a peace deal between Palestinians and Israel, Secretary of State John F. Kerry announced an estimated $4 billion economic development proposal for the West Bank on Sunday that he said could cut the 21 percent unemployment rate by two-thirds. The State Department would not identify participating companies or provide other details about the content or timing of individual proposed investments. The money would come from the private sector, not U.S. taxpayers. Kerry addressed a World Economic Forum meeting after speeches by Palestinian Authority President Mahmoud Abbas and Israeli President Shimon Peres. The gathering on the shores of the Dead Sea in Jordan was a rare direct meeting between Israeli and Palestinian leaders, although Israeli Prime Minister Benjamin Netanyahu did not attend. The Washington Post has more here. 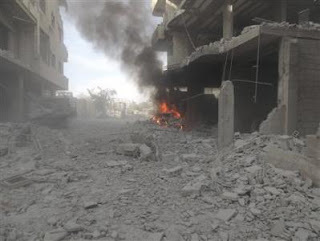 New reports of chemical weapon attacks in Syria as fighting continues - Heavy fighting raged on Monday around the strategic border town of Qusair and the capital Damascus, amid renewed reports of chemical weapons attacks by Syrian President Bashar al-Assad's forces. Opposition activists said Syrian troops backed by Lebanese Hezbollah fighters were advancing in areas around Qusair, pressing a sustained assault on a town long used by rebels as a way station for arms and other supplies from Lebanon. For Assad, Qusair is a crucial link between Damascus and loyalist strongholds on the Mediterranean coast. Recapturing the town, in central Homs province, could also sever connections between rebel-held areas in the north and south of Syria. Syrian government offensives in recent weeks are an apparent attempt to strengthen Assad's negotiating position before peace talks next month sponsored by the United States and Russia. Reuters.com has more here. Executives of Fox News were informed by Justice Department 3 years ago, they were investigating one of their reporters - The parent company of Fox News was aware years ago that the Justice Department was targeting one of its reporters in a leak investigation, sources said Saturday. One law enforcement source said the Justice Department notified a media organization three years ago of a subpoena for detailed telephone records, and a second told CNN that organization was Fox News. After that news broke, a Fox News executive said the Justice Department notified Fox's parent company News Corporation of the subpoena in May 2010. But Fox News itself apparently never got the word. The subpoena came as the Justice Department was investigating Stephen Kim, a former State Department worker accused of the unauthorized disclosure of sensitive information to James Rosen, a Fox News reporter. CNN.com has more here. 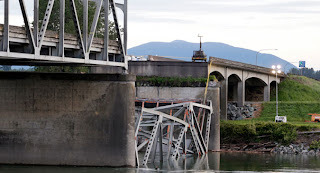 Bridge collapse a wake-up call - The collapse of an Interstate highway bridge in northern Washington state is a wake-up call for the entire nation, the chairman of the National Transportation Safety Board says. Investigators need to find out what happened at the I-5 span 60 miles north of Seattle and if it could be repeated at similar bridges around the country, Debbie Hersman said Saturday. "This is a really significant event and we need to learn from it, not just in Washington but around the country," Hersman said after taking a boat ride on the Skagit River below the dramatic scene where a truck bumped against the steel framework, collapsing the bridge and sending two vehicles and three people falling into the chilly water. Politico.com has more here. Hezbollah admits to helping Syria - The leader of the Lebanese Shiite militant group Hezbollah on Saturday defiantly defended sending his fighters to support President Bashar al-Assad’s army in neighboring Syria and proclaimed that they would be victorious. Hasan Nasrallah’s televised address provided the clearest public acknowledgment to date that his men are fighting alongside Assad’s troops and will continue to do so. As he spoke, Hezbollah and government forces were escalating an assault on the strategically important Syrian town of Qusair. A staunch ally of Iran as well as Assad, Hezbollah has deepened its involvement in Syria’s two-year-old civil war in recent weeks, leading the push to drive rebels out of Qusair, near the Syria-Lebanon border. The group has long justified its stockpile of weapons as necessary to the “resistance” against Israel, and its growing role in Syria has stirred controversy in Lebanon. The Washington Post has more here. Rockets hit Beirut after Hezbollah vows Syria victory - Two rockets hit a Shi'ite Muslim district of southern Beirut on Sunday and wounded several people, residents said, a day after the leader of Lebanese Shi'ite militant movement Hezbollah said his group would continue fighting in Syria until victory. It was the first attack to apparently target Hezbollah's stronghold in the south of the Lebanese capital since the outbreak of the two-year conflict in neighboring Syria, which has sharply heightened Lebanon's own sectarian tensions. One rocket landed in a car sales yard next to a busy road junction in the Chiah neighborhood and the other hit an apartment several hundred meters away, wounding five people, residents said. There was no immediate claim of responsibility and the army said it was investigating who was behind the attack. Reuters.com has more here. Leading off the weekend, former secretary of state Colin Powell discusses nattional security and the policy for the use of Drones on Bloomberg TV "Political Capital". The tornado disaster in Oklahoma and the anticipated federal response will certainly receive attention during the discussion Sunday morning. In addition, the IRS scandal and continued hearings on the Benghazi tragedy will be discussed. 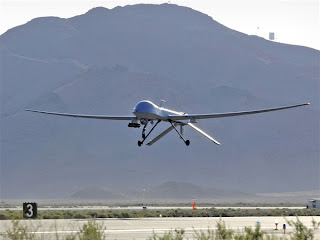 On, Memorial Day weekend, national security policy and the recent speech delivered by President Obama concerning the policy for the use of Drones and the long held desire to close Guantanamo Bay prison will also be analyzed. On ABC "This Week", retired General John Allen discusses the fallout from the Petraeus scandal, as well as the deteriorating situation in Iraq, the ongoing fight in Afghanistan, and the battle against sexual assault in the military. NBC "Meet The Press" will not air on Sunday. Harvard University's David Gergen and The Washington Post's Michael Gerson on how the White House is handling the IRS scandal, questions about Benghazi and more. President Obama called on Saturday for Americans to remember fallen U.S. soldiers as they celebrate Memorial Day this weekend. "They are heroes, each and every one," Obama said of soldiers who have been killed in battle. "They gave America the most precious thing they had – 'the last full measure of devotion.' And because they did, we are who we are today – a free and prosperous nation, the greatest in the world." "At a time when only about one percent of the American people bear the burden of our defense, the service and sacrifice of our men and women in uniform isn’t always readily apparent," Obama said. He added that "every time a threat has risen, Americans have risen to meet it. And because of that courage – that willingness to fight, and even die – America endures." "That is the purpose of Memorial Day," Obama said. "To remember with gratitude the countless men and women who gave their lives so we could know peace and live in freedom. In the Weekly Republican Address, Sen. Jim Inhofe (R-OK) talks about the devastating tornado that struck Moore, Oklahoma earlier this week. "Oklahoma has been hit hard, but we're not knocked out," says Oklahoma's senior senator, who delivers the address on location in Moore. 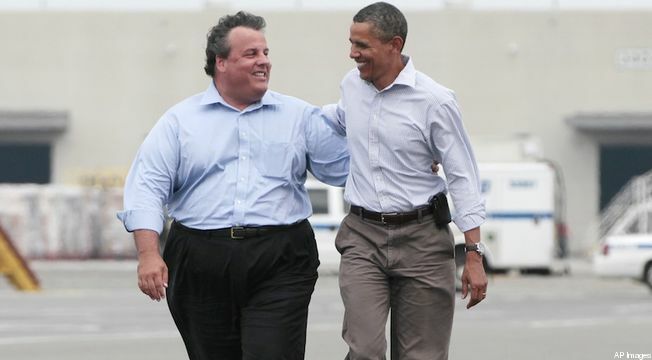 Obama to tour Jersey shore with Christie - Months after their post-Hurricane Sandy embrace became an endurinng image of bipartisanship, President Barack Obama and New Jersey Gov. Chris Christie (R) will survey the storm's damage once again. On Tuesday, Obama and Christie will tour areas in New Jersey affected by the storm, the Washington Post reported. Christie has enjoyed enormous popularity at home in the months following Sandy, with many crediting the Republican's show of bipartisanship after the storm. He is an overwhelming favorite to win re-election this year over his little-known Democratic challenger, state Sen. Barbara Buono. Some Republicans expressed frustration toward Christie for praising Obama's handling of the storm with the election only days away, insisting that it helped secure a second term for the President. TPM.com has more here. “As our fight enters a new phase, America’s legitimate claim of self-defense cannot be the end of the discussion,” Obama said. “To say a military tactic is legal, or even effective, is not to say it is wise or moral in every instance.” The Washington Post has more here. Obama to give Naval Academy commencement speech today - President Barack Obama on Friday will travel to Annapolis, Md. where he will deliver the commencement address at the United States Naval Academy. Obama is scheduled to give the remarks at 10:00 a.m. ET. Justice Department to review guidelines for leak investigations - At a national security speech, the president said he was "troubled by the possibility that leak investigations may chill the investigative journalism that holds government accountable," and had expressed that concern to Holder. The attorney general, in turn, agreed to review Justice Department guidelines governing leak investigations and meet with a group of media organizations. 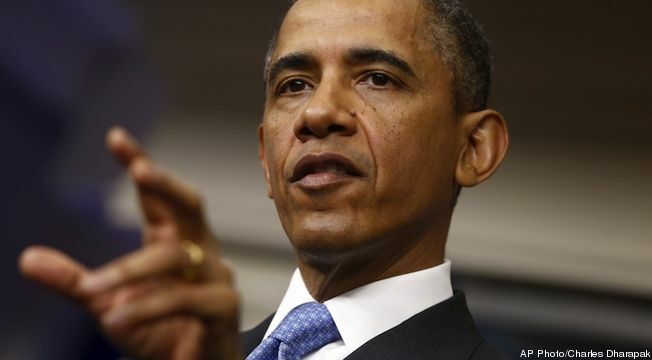 Obama said that the Justice Department would present him with a report on media targeting by July 12. "Journalists should not be at legal risk for doing their jobs," Obama said. "Our focus must be on those who break the law." TheHill.com has more here. IRS official Learner placed on leave - Lois Lerner, the IRS official who oversees the agency’s division in charge of tax-exempt organizations, has been placed on administrative leave, a source told NBC News on Thursday. The IRS has selected Ken Corbin as acting director during Lerner's absence. Lerner, whose responsibility for the targeting of conservative groups at the IRS has become a point of scrutiny in the controversy, had come under bipartisan fire. Sens. Carl Levin, D-Mich., and John McCain, R-Ariz., wrote acting IRS Commissioner Daniel Werfel earlier on Thursday seeking Lerner’s suspension. Lerner had appeared before a House committee on Wednesday, but invoked her Fifth Amendment rights, and declined to testify. She offered a broad declaration denying any wrongdoing, however, which has prompted some Republicans to conclude she had effectively waived her Fifth Amendment rights. Rep. Darrell Issa, R-Calif., who heads the oversight panel before which Lerner appeared, suggested Thursday he’ll seek to recall her as a witness. NBC News has more here. Kerry announces "productive talks" with Palestine, Israel - U.S. Secretary of State John Kerry said on Friday that his shuttle talks with Israeli and Palestinian leaders on prospects for reviving direct negotiations had been "very productive". 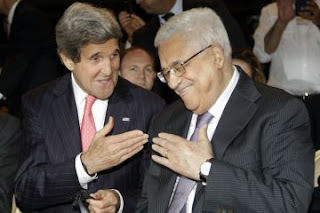 Speaking to reporters in Tel Aviv after two days of talks in Israel and the Palestinian territories, Kerry urged both sides to refrain from provocative actions "that take us backwards" and said they should focus instead on progress towards peace talks. "We are reaching the time (where) leaders need to make hard decisions," Kerry said following separate meetings with Israeli Prime Minister Benjamin Netanyahu and Palestinian President Mahmoud Abbas. Reuters.com has more here. Russia says Syria will attend Geneva peace talks - The Syrian government has agreed to participate in an international peace conference coordinated by Russia and the United States, a spokesman for the Russian Foreign Ministry said on Friday. Russian Foreign Minister Sergey V. Lavrov and Secretary of State John Kerry had agreed during a meeting in Moscow earlier this month to pull together the peace conference, with Russia responsible for bringing the government of Bashar al-Assad to the table and the Americans focused on securing the participation of the Syrian opposition. The NY Times has more here. Obama to announce policy on use of Drones - President Barack Obama on Thursday will outline his administration's counterterrorism policy in a major speech to be given at National Defense University in Washington, D.C.
Obama will use the speech to announce new restrictions on unmanned drones, an announcement that comes on the heels of the U.S. government's admission that it has killed four American citizens with drone strikes. According to the New York Times, the policy changes signed by Obama include a reduction of the "instances when unmanned aircraft can be used to attack in places that are not overt war zones, countries like Pakistan, Yemen and Somalia." The new rules will also establish "the same standard for strikes on foreign enemies now used only for American citizens deemed to be terrorists," the Times reported. Obama will deliver the speech at 2:00 p.m. ET. TPM.com has more here. Obama to tour Oklahoma tornado damage Sunday - President Barack Obama will travel to Oklahoma on Sunday to visit families and inspect firsthand the damage left by devastating tornadoes that ravaged suburbs, wiped out neighborhoods and killed 24 people, press secretary Jay Carney announced Wednesday. The Washington Post argues for disclosure of campaign donations - Today we publish a commentary by Senate Minority Leader Mitch McConnell (R-Ky.), arguing against legislation to require expanded campaign finance disclosure. The senator points to the current furor over how the Internal Revenue Service (IRS) mishandled applications from tea party and other conservative groups for tax-exempt status under Section 501(c)(4) of the Internal Revenue Code. We certainly agree with him that the IRS failed to meet basic standards of fairness in selectively pressing the groups for more information and in delaying their applications. Meanwhile, the political process is sliding backward toward the practices of the years before the Watergate reforms. More than $300 million in secret contributions were spent by outside groups in the 2012 presidential and congressional races. In the last cycle, a large share of the hidden cash was channeled through 501(c)(4) tax-exempt organizations. And here’s a key fact that often gets overlooked: Under the rules, these organizations have to disclose their donors to the IRS. Only the public remains in the dark. 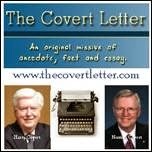 Secrecy denies vital information to voters about who is contributing to which candidates. Very often, these contributions are made in search of influence on policy. We think openness here is a more valuable public good than is providing a cloak for every fat cat who wants to remain hidden. Rep. Chris Van Hollen (D-Md.) reintroduced the Disclose Act in January, and a version is expected to be introduced in the Senate by Sheldon Whitehouse (D-R.I.). This legislation also has valuable provisions, such as requiring corporations and unions to disclose their campaign-related spending to shareholders and members. The road to passage for any legislation this year is going to be uphill, but the push for greater openness deserves support. In a political system saturated with cash, transparency is the last, best hope for accountability. Read the entire editorial here. Senate Democrats consider using "nuclear option" on filibusters - With one of President Barack Obama’s key nominees on the verge of being confirmed by the Senate on Thursday, Senate Majority Leader Harry Reid appeared to edge away Wednesday from an idea that some Democrats are calling for: enacting a change in Senate rules to stop filibusters which delay votes on Obama appointees. McConnell noted Wednesday that Republicans had agreed to an up-or-down vote on Obama’s nomination of Sri Srinivasan to serve on the Court of Appeals for the District of Columbia Circuit, with that vote to occur the Tuesday after the Senate returns from its one-week Memorial Day recess. Srinivasan is crucial because so far in the four and a half years of his presidency, Obama has gotten no one confirmed to that court, which handles most legal challenges to regulations issued by the Environmental Protection Agency and other regulatory bodies and serves as a major stepping stone to the Supreme Court. In March, Republicans blocked a confirmation vote on another Obama nominee to that court, Caitlin Halligan. FirstRead.com has more here. House votes to approve Keystone XL pipeline - The House passed a bill Wednesday that would approve the northern leg of the Keystone XL oil sands pipeline by an act of law, and take the decision out of the hands of President Obama. Members voted 241-175 in favor of H.R. 3, the Northern Route Approval Act. Republican supporters were joined by 19 Democrats, much less than the level of Democratic support in the last Congress. Earlier in the week, the White House said Obama would veto the bill, in large part because of the language eliminating the need for presidential approval of the pipeline. That veto, and Democratic opposition in the Senate, means the bill is unlikely to advance beyond the House. TheHill.com has more here. DCCC hosts reception for top House candidates - The Democratic Congressional Campaign Committee will host a reception Wednesday night for its best recruits, according to an invitation obtained by CQ Roll Call. Launched earlier this month, the Jumpstart program “provides early financial, communications, operational and strategic support to help top-tier candidates get a head start in these highly-targeted races,” according to a memo sent to donors and supporters upon the program’s launch. RollCall.com has a list of the invitees here. Markets jittery after Bernanke statement and weak China economic forecast - Share markets fell sharply on Thursday as investors piled back into safer assets, unnerved by the twin setbacks of unexpected weakness in China's economy and signals that the U.S. central bank may soon scale back its stimulus program. The yen bounced sharply off recent lows and German Bunds rose, gaining support from a shift in sentiment that followed Fed Chairman Ben Bernanke's comment that the bank may trim its bond purchases at one of its next policy meetings. Reuters.com has more here. McCain, Collins Slam GOP Colleagues On the Budget - In the latest expression of Republican frustration with conservative GOP colleagues, Sens. John McCain (R-AZ) and Susan Collins (R-ME) excoriated Sens. Ted Cruz (R-TX) and Rand Paul (R-KY) for persistently refusing to initiate House-Senate budget negotiations. Their comments on the Senate floor Tuesday reflect a growing Republican schism over how to approach the tax and spending fights that have hamstrung Congress for years and dragged its approval ratings to historic lows. “For four years, four years, we complained about the fact that the majority leader … would refuse to bring a budget to the floor of the United States Senate,” McCain said. “What [do] we on my side of the aisle keep doing? We don’t want a budget unless — unless — we put requirements on the conferees that are absolutely out of line and unprecedented.” You can read more here. Senate Judiciary Committee Approves Immigration Bill - A sweeping bill to overhaul the nation's immigration system cleared its first major hurdle late Tuesday night, with the 18-member committee charged with completing a first round of legislative edits voting to advance the amended bill to the full Senate. The vote in the Senate Judiciary Committee was 13-5. Three Republicans - Sens. Jeff Flake of Arizona, Lindsey Graham of South Carolina and Orrin Hatch of Utah -- joined the panel's 10 Democrats to vote in favor of the bill. NBC News has more here. Obama announces members of new commission on elections - President Barack Obama on Tuesday announced 10 individuals who will serve upon his newly created Presidential Commission on Election Administration, as promised earlier this year. “The right to vote is one of the most essential rights provided by the Constitution," Obama said in a statement. As I said in my State of the Union Address, when any American, no matter where they live or what their party, is denied that right simply because too many obstacles stand in their way, we are betraying our ideals. We have an obligation to ensure that all eligible voters have the opportunity to cast their ballots without unwarranted obstructions or unnecessary delay." According to the White House, the commission will work shorten lines at polling places, promote the efficient conduct of elections, and broaden access to the polls for all Americans. TPM.com has the list of appointees here. Weiner Announces New York City Mayoral Bid - Former Rep. Anthony Weinter (D-N.Y.), who resigned from Congress in disgrace two years ago after posting sending lewd tweets to young women, is running for mayor of New York City. Weiner made his bid official late Tuesday in a campaign video on YouTube, appealing for a “second chance” to serve. “Look, I made some big mistakes, and I know I let a lot of people down,” Weiner says in the video. “But I’ve also learned some tough lessons.” TheHill.com has more here. Garcetti Elected Los Angeles Mayor - City Councilman Eric Garcetti won his bid to become the mayor of Los Angeles on Wednesday, bringing to a close a nearly two-year race that pitted him against another moderate Democrat with years of experience at City Hall. As the results trickled in, Mr. Garcetti confidently told hundreds of supporters gathered at a Hollywood nightclub Tuesday night that the city had entrusted him with its leadership, and he would not let Los Angeles residents down. “Los Angeles is ready to put the recession in the rearview mirror and become the city of opportunity that I grew up in once again,” he said. “It’s time for Los Angeles not just to be a big city, but a great city once again. Whether you’re down and out, or whether you’re at the top, we all believe one thing, that L.A. is worth fighting for.” The NY Times has more here. Obama to deliver statement on Oklahoma disaster - President Barack Obama on Tuesday morning will deliver a statement on the disaster in Oklahoma after a deadly tornado swept through there, MSNBC and others reported. Obama is expected to make the statement at 10 a.m. ET. Rescue crews were waiting for daylight early Tuesday to aid in the search for survivors and victims of a massive tornado that chewed through a suburb of Oklahoma City on Monday, grinding up entire neighborhoods and obliterating an elementary school where students who had huddled in a hallway with their teachers were buried in rubble. The swath of devastation in Moore, Okla., was up to a mile wide and 20 miles long. The state medical examiner’s office told the Associated Press early Tuesday that at least 40 more bodies were expected, in addition to the 51 people already confirmed dead. Twenty of those 51 are children. You can read more here. Apple using off-shore firms to avoid paying U.S. taxes - Apple Inc. employs a group of affiliate companies located outside the United States to avoid paying billions of dollars in U.S. income taxes, a Senate investigation has found. The world’s most valuable company is holding overseas some $102 billion of its $145 billion in cash, and an Irish subsidiary that earned $22 billion in 2011 paid only $10 million in taxes, according to the report issued Monday by the Senate Permanent Subcommittee on Investigations. The strategies Apple uses are legal, and many other multinational corporations use similar tax techniques to avoid paying U.S. income taxes on profits they reap overseas. But Apple uses a unique twist, the report found. The company’s tactics raise questions about loopholes in the U.S. tax code, lawmakers say. TPM.com has more here. Obama approval rating at 51% - a new Washington Post/ABC News poll finds the president’s approval rating, at 51 percent positive and 44 percent negative, has remained steady in the face of fresh disclosures about the IRS, the Benghazi attack and the Justice Department’s secret collection of telephone records of Associated Press journalists as part of a leak investigation. The Washington Post has more here. White House chief of staff also knew of IRS investigation - The White House on Monday once again added to the list of people who knew about the IRS investigation into its targeting of conservative groups — saying White House chief of staff Denis McDonough had been informed about a month ago. Press secretary Jay Carney said again that no one had told President Barack Obama ahead of the first news reports: not his top aide McDonough, nor his chief counsel Kathy Ruemmler, nor anyone from the Treasury Department. Politico.com has more here. IRS employees did not understand and bickered over the agency’s own rules, repeatedly changing course over how to screen groups seeking tax-exempt status. The IRS went so far as to reject the IG’s recommendation that the tax agency clear up guidelines for how to handle such groups. The IRS instead recommended more staff training, an alternative the IG in turn rejected. The fallout has exposed an agency that lacks the tools, the will or even the rules to regulate increasingly wealthy and influential tax-exempt groups unfettered by the Supreme Court’s 2010 ruling to deregulate political spending. RollCall.com has more here. Benghazi witness points finger at Clinton - The star witness in the Benghazi investigation said former Secretary of State Hillary Clinton personally ordered Ambassador Chris Stevens to set up a permanent post in the restive city and should have known about deteriorating security. “According to Stevens, Secretary Clinton wanted Benghazi converted into a permanent constituent post,” Hicks testified. TheHill.com has more here. Israel-Syria exchange border fire - Israeli troops shot at a target across the Syrian frontier on Tuesday in response to gunfire that struck its forces in the Golan Heights, the Israeli military said. A statement said a military vehicle was damaged by shots fired from Syria but that there were no injuries. It said that soldiers "returned precise fire". 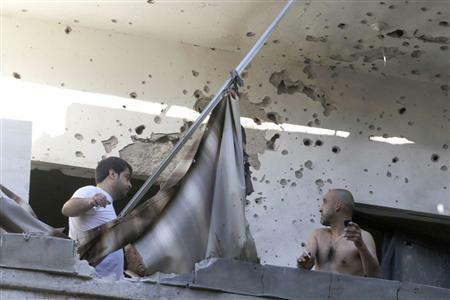 Gunfire incidents across the frontier from Syria have recurred in past months during an escalating a civil war there in which rebels have sought to topple President Bashar al-Assad. Israel's Army Radio said Tuesday's was the third consecutive cross-border shooting this week. Reuters.com has more here. Republicans concede they lack evidence President Obama directed IRS abuses -President Barack Obama's team emerged on Sunday to defend his handling of revelations that the IRS had targeted conservative groups for scrutiny, as senior Republicans conceded they lacked evidence — so far — that the president directed the abuses. Senate GOP Leader Mitch McConnell said the IRS controversy amounted to evidence of a "culture of intimidation" by the administration. But he and Rep. Dave Camp, R-Mich., admitted they lacked evidence that the targeting of conservatives was ordered by the White House. "We don't have anything to say that the president knew about this," said Camp, who chairs the House committee looking into the IRS controversy, on NBC's "Meet the Press." But the White House has begun to push back. A top White House adviser, Dan Pfeiffer, emerged on Sunday to assert that the administration had handled the IRS fiasco properly. "There is no question that Republicans are trying to make political hay here," Pfeiffer said on "Meet the Press" of the IRS controversy. Pfeiffer sought to undercut Republicans' criticism by asserting that Rep. Darrell Issa, R-Calif., a top GOP critic of the administration who is in charge of White House oversight, was actually aware of an inspector general's investigation into the IRS abuses as early as last fall. To that end, Pfeiffer argued that even if the president were aware of the investigation of the IRS at an earlier point, it would have been inappropriate to become involved with or interfere with the inquiry. NBC News has more here. “Your generation is uniquely poised for success unlike any generation of African Americans that came before it,” President Obama said. The White House has more here. Democrats aim to defeat Bachmann in 2014 - Rep. Michele Bachmann (R-Minn.) leads her 2014 Democratic challenger Jim Graves by two percentage points, according to a new poll conducted for Graves' campaign. Bachmann takes 47 percent support and Graves takes 45 percent, according to an early survey of the race conducted by Democratic firm Public Policy Polling for Graves. The two-percentage-point lead is within the poll's plus or minus 4-point margin of error, indicating the race is statistically tied. Perhaps more troublesome for Bachmann are her favorables: She's seen unfavorably by 51 percent of respondents, while 46 percent view her positively. Graves is seen favorably by 39 percent and unfavorably by 33 percent of respondents, but a full 28 percent are still unsure of how they feel about him. Graves also posts stronger crossover appeal, taking 17 percent of Republicans, while Bachmann takes only eight percent of Democrats. TheHill.com has more here. N. Korea fires sixth missile in 3 days - North Korea fired two short-range missiles on Monday, making six launches in three days, and it condemned South Korea for criticizing what it said were its legitimate military drills. "We are conducting intense military exercises to strengthen our defense capacity," North Korea's KCNA news agency quoted the Committee for the Peaceful Reunification of Korea, the body that handles inter-Korean issues, as saying on Monday. "Our military is conducting these exercises in order to cope with the mounting war measures from the U.S. and South Korea, which is the legitimate right of any sovereign country." Reuters.com has more here.